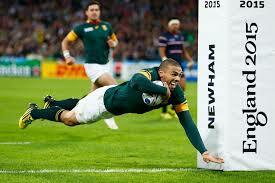 As we approach the knockout stages of the 2015 Rugby World Cup, things are heating up on the pitch. In a tournament which has seemingly had everything, here are a few of the talking points as the tournament reaches the quarter-final stages. What lies ahead for Robshaw? Following a disastrous World Cup from the host nation, which has seen them exit the tournament at the earliest stage, questions are rightfully being asked by the English media and fans alike at what direction the national team are heading in. As leaders of the team, coach Stuart Lancaster and captain Chris Robshaw are in the firing line, with many people believing that the two men should pay the price for England’s woeful performance. 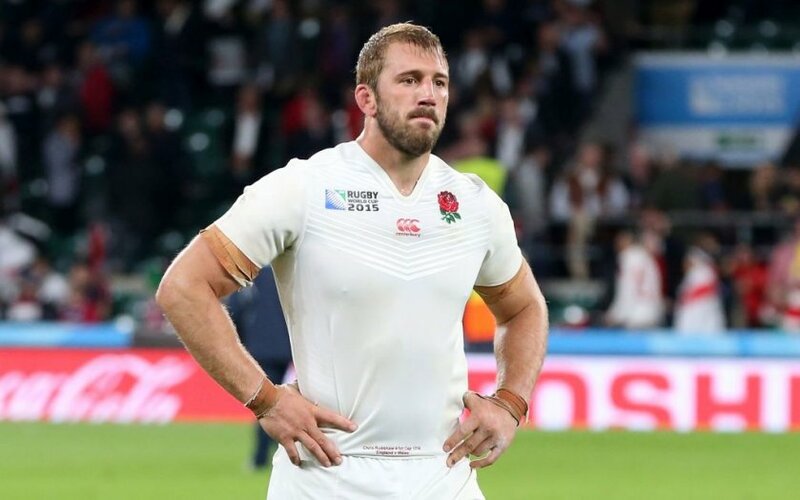 Both Lancaster and Robshaw are to blame for England’s exit, with team selection and on-field decision-making being just a few of many factors that have contributed to the hosts’ demise. It is almost certain that England will look for a new on-field leader in place of Robshaw, with question marks also being asked about his future as an international. With Lancaster under contract until 2019, the situation with him is somewhat more difficult to judge, yet it remains to be seen whether after four years of mediocrity, he can carry on in the job. However to lay the blame solely at the door of the coach and captain is to ignore the failures of others, most notably the RFU. The last two England coaches, Martin Johnson and Stuart Lancaster, have been appointed to a position at the top of the coaching ladder with a sizeable lack of experience as coaches. As a former World Cup-winning captain, Johnson was expected to take to coaching like a duck to water given his leadership credentials, yet the infamous World Cup showing of 2011 displayed the gaping chasm between great players and great coaches. Following the 2011 debacle, the RFU once again turned to a man with little experience as a coach at the top level. Four years down the line and English rugby finds itself in a similar position, as Lancaster – like Johnson – has been found to be somewhat naïve as a coach at this level. Given the money and wide pool of talent available to choose players from, the RFU’s lack of sense when hiring coaches has arguably been their biggest failure, especially given the credentials of fellow home nations coaches such as Warren Gatland and Joe Schmidt. Whatever lies ahead for English rugby changes need to be made at many levels. 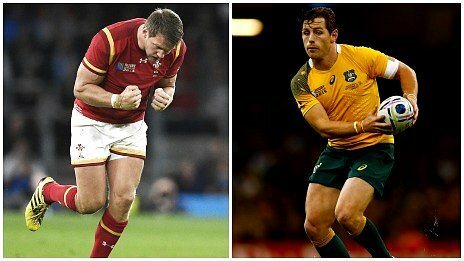 After celebrating their passage through the Pool of Death at the expense of the hosts, Australia and Wales meet in London on Saturday to decide the winners of Pool A. With both sides three from three after stellar starts to the tournament, something has to give on Saturday. With the opposing teams delighted to have sealed qualification to the knockout stages a game early, the stakes are not as high as they could have been, yet with a resurgent South Africa awaiting the losers, both sides will be looking to finish the Pool stages with their 100% records intact. In a match that is likely to be decide by fine margins, the fortunes of the opposing fly-halves, Dan Biggar and Bernard Foley will be crucial. Arguably two of the best 10’s in the tournament so far, both Biggar and Foley have been pivotal to their team’s success with Foley producing a masterful display against England which saw him score 28 of his sides 33 points. That performance came a week after Welsh fly-half Dan Biggar produced an equally strong performance against the English scoring 23 points as Wales came from behind to record a sensational victory. The battle at the breakdown will also be big with Warren Gatland choosing to select two of his natural openside flankers, Sam Warburton and Justin Tipuric, together to gain a foothold against an Aussie team missing their own openside flanker Michael Hooper through suspension, but still possessing the talismanic figure of David Pocock. After being shocked in their opening match by minnows Japan, Heyneke Meker’s South Africa team were staring down the barrel of a Pool stage exit. However the two-time World Champions have recovered from that set-back to top Pool B with some crushing performances that have put them right back into contention in this year’s tournament. Despite the loss of captain Jean De Villiers through injury and subsequently retirement, the Springboks have recorded big victories over Samoa, Scotland and USA to quell any fears South Africans may have had over an early exit. With veteran wing Bryan Habana rolling back the years with his wonderful try-scoring exploits and the Springbok pack returning to their intimidating best, South Africa are right back in the hunt for the Webb Ellis trophy.